After a looooong absence we're getting back to creating! 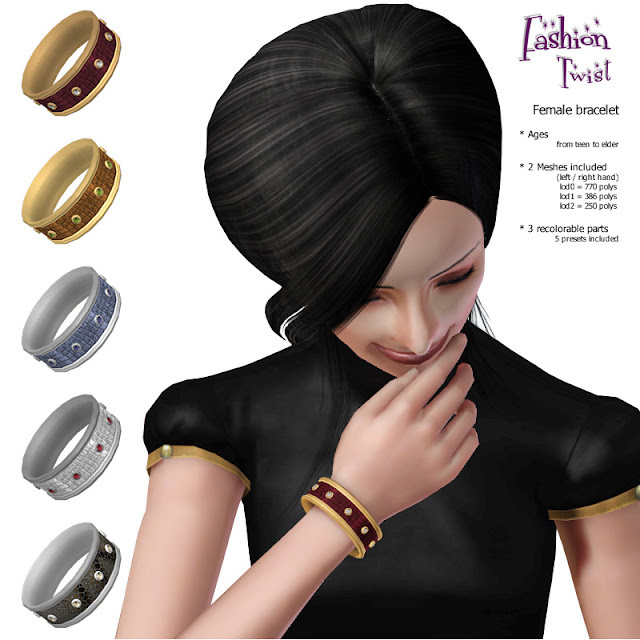 Now for The Sims 3 :) Here come new accessories for females: bracelets with gems. They're available for teens, young adults, adults and elders. Both hands versions included.